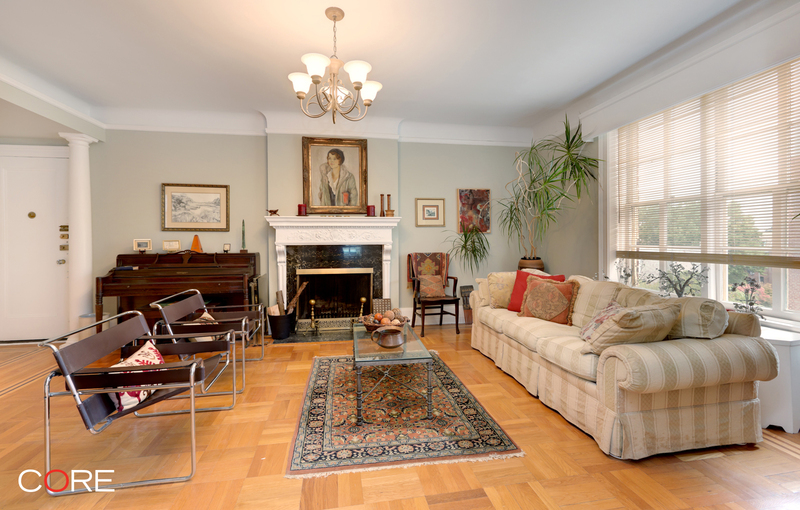 Gracious living at this rarely available four-bedroom, two-bath, seven-room dream home on the fifth floor of the Chateau, a preferred co-op in historic Jackson Heights. This immaculate pre-war gem with a wood-burning fireplace includes carefully restored original hardwood floors, moldings and plaster walls. 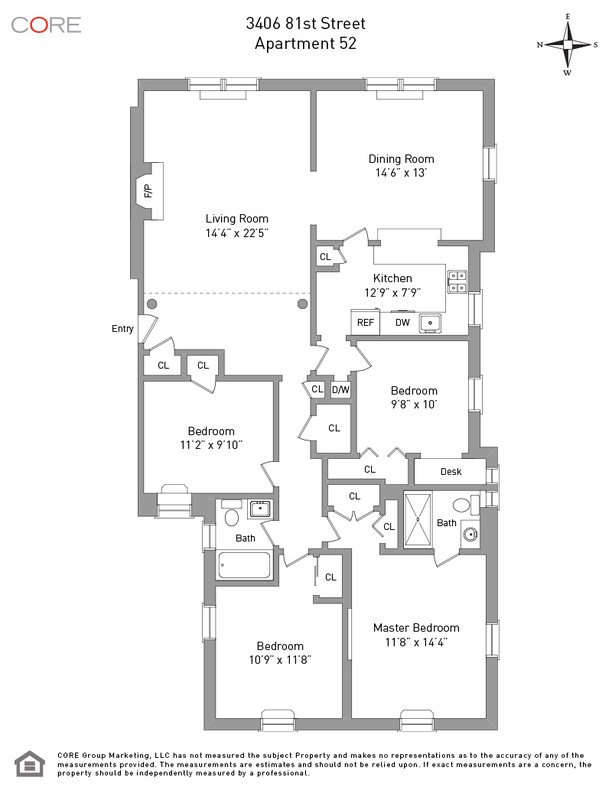 The windowed kitchen with stainless steel appliances opens into the dining area creating prime space for entertaining. The two full baths are newly renovated with elegant designer tiles and fixtures. The en-suite bath in the master bedroom has a walk-in shower with glass doors. Light streams in from four exposures and the west facing bedrooms with Manhattan views face the Chateau English garden. MAINTENANCE is $828+$300 reserve fund $1128/mo.